- As water tanks are generally of concrete, crystalline waterproofing system is more suited for this application. - The cracks need to be treated. - The joints between the horizantal and the vertical surfaces of the tank shall be treated. - Any exposed metal rods shall be cut and treated. - Any pipe penetrations across the podium need to be treated. 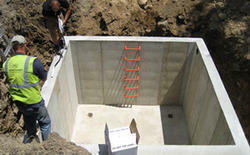 We are enlisted as the well known provider of Water Tank Waterproofing Services. We ensure that services are excellent in quality and we provide timely execution. We provide all types of waterproofing treatment. 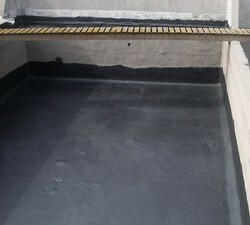 - Terrace water proofing service. Our firm is involved in providing qualitative Water Tanks Waterproofing Services to our prestigious clients.